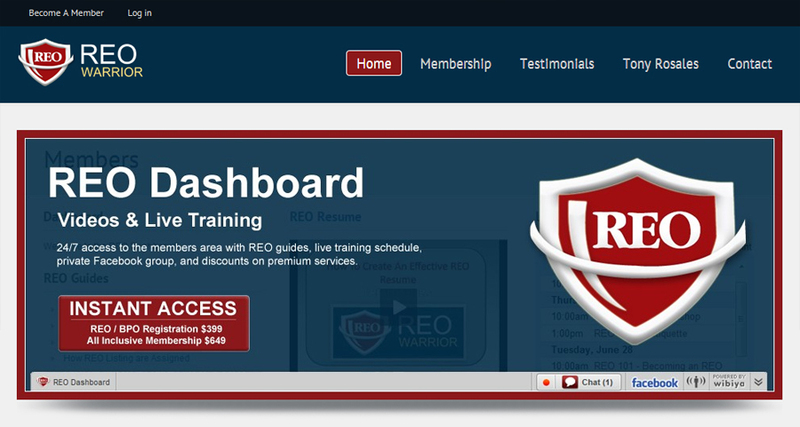 REO Warrior is the only fully comprehensive training program developed specifically from the Asset Manager perspective to help REO Agents take their business to the next level. Tony approached us looking for a website that managed subscription based memberships; a dashboard where clients could find documents, on demand video training, and living training Webinars. REO Warrior is quickly growing and several virtual workers assist with the business flow. We use the s2Member WordPress plugin to manage memberships. Tony provides a great amount of value to his members of REO Warrior.